Fresh Yacon - Got Greens? My sweet husband came home from the grower’s market last Saturday with a boyish grin and a surprise behind his back. He surprised me with a fresh yacon he purchased from a local farmer. How cool is that? I had no idea that you could get those fresh, let alone locally. Anyway, it looks like a sweet potato, but it tastes like…well, it’s refreshing and succulent and crisp. It touches the lips like a cool kiss from a raindrop. It’s sweet, yet subtly so. It is reminiscent of a jicama and also a sunchoke. Tonight we enjoyed some slices of it and then put the rest of it in the dehydrator to make “chips”. No salt or anything, just thinly sliced and peeled. I’m excited to see how they turn out. Hmmm…maybe I’ll look into planting my own yacon. I’ll let you know how it all turns out. 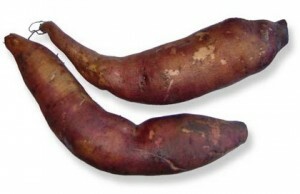 So, I just looked up yacon because I realize that I really don’t know what it is, so many of you might not either. It is a near relative of the sunflower (that explains the sunchoke resemblance) and has been cultivated in the Andes for over 2,000 years for their crisp, sweet-tasting tubers. 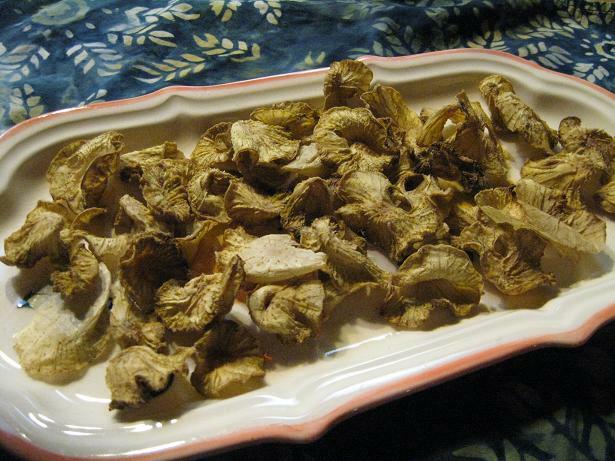 They have many healing properties, such as being used to treat diabetes and liver problems. Even though they are packed with sugar, that sugar is mainly oligofructose, which cannot be absorbed by the body. 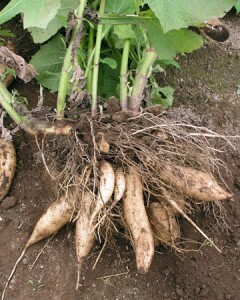 Yacon is naturally low-calorie and its sugar does NOT raise blood glucose levels. The tuber becomes sweeter as it dries in the sun. All parts of the plant can be used for healing purposes, by the way. Try to find one of these yummy delights in your health market!